Good news: we successfully develop the new product – 13C infrared spectrometer! 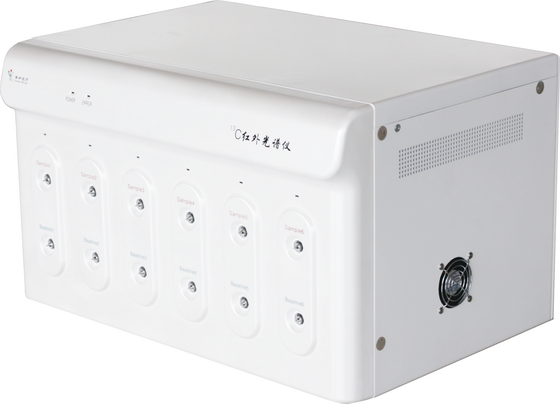 On August 11, 2010, YH08 13C infrared spectrometer developed by Anhui Young-Hearty Medical Appliance & Equipment Co.,Ltd. obtained the product registration certificate issued by the Anhui Food and Drug Administration, which marks the successful completion of this R & D project started in early 2009. This good news filled the whole company with joy, and congratulations were expressed to workers having made outstanding contributions to the R & D of this project. Under the leadership of General Manager Chen Shixiong, our R & D staff finally completed the R & D task of another new product after a year and a half of hard work. Compared with the most advanced instruments in the world, the product has exactly the same precision. Its DOB (‰) measurement repeatability is ≤ ± 0.3 ‰, standard error ≤ 0.3 ‰, and is cost-effective, and easy to use. The product will soon be launched on the market, and will play an important role in the field of breath test in China. 上一篇：Our company has certified as the high-tech enterprise recognized by National Ministry of Science and Technology!